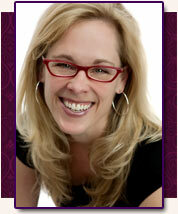 Ahhh so excited to be welcoming Katharine Ashe to the blog today for Authors for the Holidays. I just finished How to be a Proper Lady and omg it was fantastic! She's got the most interesting heroine I've read in a good long while. Anywho. Today Katharine is talking all about smooches! She's giving away 2 of her books too! So check out her guest post and check out that giveaway down at the bottom! 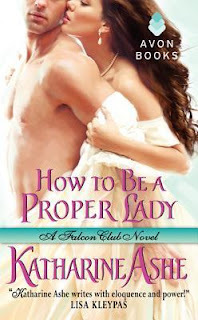 She's giving away a copy of How to be a Proper Lady in the grand prize too so be sure to stop by! There are many kinds of kisses in both fiction and the so-called “real world”. For today I’ve come up with a partial list of kinds of kisses, mostly because it makes me happy to think about kisses but also because kisses are on my personal list of The 5 Best Things Ever. Hello Kisses, as in “Hello, dahhling!” air kisses on either cheek. Long-Time-Haven’t-Seen Kisses, usually accompanying a big hug. Spontaneous Affection Kisses, from your nine-year-old randomly in the kitchen, or to the top of your dog’s shaggy head, etc. Goodnight Kisses, on the brow or cheek, warm and soft and sweet. Goodbye Forever Kisses, which I won’t go into detail about because they make me cry no matter what the reason for the goodbye, and I’m weeping now just thinking about it, and oh good Lord why did I bring this up?!? Big-Bejeweled-Ring Kisses, very medieval (like Good King Wenceslas, you know), performed while on one’s knees, indicating reverence for a monarch or prelate. Kisses Upon the Feet, in worship, like the kiss in the story about the woman who washed Jesus’ feet with her tears and dried them with her hair. First Kisses, sometimes awkward, sometimes perfect, sometimes on stage in eighth grade in front of 100 people while rehearsing Ado Annie and Will Parker’s “Oklahoma hello!” for the school musical for which I, a girl who had never been kissed, was hugely miscast as the “girl who can’t say no” and thus began my rapid journey into many, many kisses thereafter, but it’s possible I’m veering off topic here. Kisses Blown Across the Palm, teasingly, lovingly, conveying playful affection and admiration. Passionate Kisses, hot, deep, full-bodied, breathtakingly delectable . . . There are many more sorts of kisses, and I am grateful for all of them. But the kisses I love the most in books, the kisses that never fail to make me sigh dreamily while speeding my heartbeat to its quickest tempo, are mistletoe kisses. Mistletoe kisses are magical. Sometimes stolen, at other times willingly offered and enthusiastically accepted, mistletoe kisses are kisses spun of joy, fashioned of delight, full of hope, tingling with excitement, and trembling with desire. Mistletoe kisses can be the impulse of a moment or the climax of years of yearning. Mistletoe kisses remind us that secret longings can be deliciously good and that public honesty can be even better. Moreover, mistletoe kisses can lead to shy blushes and demurrals, but they can also lead to other sorts of kisses altogether (see Passionate Kisses, above). This is probably why I adore mistletoe kisses. Oftentimes forbidden and frequently unexpected, they suggest a delectable variety of possibilities for the future, dreams that could finally be realized and wishes that just might come true. Since that’s what the Christmas season seems to me to be all about — the birth of something new and thrilling into the world, and with it joy and hope — I think kisses beneath the mistletoe are just about the most romantic thing around during the holidays. That also happens to be why I adore romance fiction, by the way. Every time I open up a romance novel or start writing a book, I feel all the brimming excitement of infinite possibility about to unfold before me. It’s positively addictive! Which is why in my debut novel a few years ago, Swept Away by a Kiss, I wrote a mistletoe kiss. It was just too much fun trapping my hero and heroine beneath that snow-laden bough and forcing them to come to terms with what they felt for each other. Then — because I couldn’t get enough of that particular kind of Christmas magic — I wrote another novel set at Christmastime, When a Scot Loves a Lady. In it a London socialite and a roguish lord are trapped in a snowbound inn in the wilds of the countryside, but there is no actual mistletoe to inspire their kisses. So they find other inspirations: dark corners, dimly lit stairwells, secluded stables, anywhere they can get their hands on each other . . .
After all, when Christmas magic is in the air, every kiss is a perfect kiss. Katharine is offering two lucky commenters who answer her question gifties today! What is your favorite kind of kiss? — in novels or real life or both! Oh a mistletoe kiss for sure! Every year my hubby maks sure to catch me off guard underneath a mistletoe and gives me a sweetheart kiss. Which a sweetheart kiss to me is one that curls your toes but isn't as hot and heavy as a romantic kiss. I love it and look forawrd to being surprised every year! A real kiss for sure and in my opinion which is, of course bias, my hubby gives the best ones! My favorite is what I call the hesitation kiss. That brief moment, that pause before your lips touch when you feel like your heart will explode from the anticipation. Love those! I'm 5 ft tall and my husband is 6 ft tall. I love it when he picks me up and kisses me. I've never had a mistletoe kiss myself, but I do love reading about them. Someone is just ambushed and surprised with a kiss, lovely. And of course the passionate kisses that make your toes curl. I like the romantic one like the one in the Notebook! I love your novels and am very much looking forward to reading more of them. My favorite to read are those first kisses. A little hesitant, a little nervous. When they're just about to kiss and smile just a little. They're just sweet and hold so much promise. Thanks for inviting me to your holiday blog party, Anna. It's lovely to be here! I've just checked my mother into the hospital so I'm afraid I can't say longer today. But I wanted to drop in and say hello and wish everyone a happy holiday season! Oh goodness Katharine we'll be thinking of yall and praying for the mamma! Hope she's doing better today! Kiss blown across the hand, and spontaneous affection kisses! Because they're sweet and not necessarily romantic. My favorite kind of kiss - in novels and in real life. Both! My favorite kind of kiss is the first kiss - the anticipation and all the feelings that go with it. I love it. Teasing kisses that make you want more! An all encompassing kiss that captures your heart as he's kissing you. I like a sweet gentle kiss that then warms up to a passionate embrace. I like a HOT kiss that goes from lips touching to "climbing through each other" in .02 seconds! Hi Katharine! I own all of your books and I love them! I can't wait to read your next one. Merry Christmas! A soft tender kiss that becomes passionate! I like first kisses the best in books. Everything is so new and there is so much anticipation. My favorite kisses are the ones he gives me on the forehead when he comes to bed and I'm almost asleep. That moment where you're aware but can't move or talk kind-of sleep. I know in those moments when he thinks I'm not aware he still shows he loves me. I like the romantic one and passionate kiss. Forehead kisses. They speak more of affection and respect and that's something I could totally get behind. Definitely a mistletoe kiss. I still love getting what I call the romantic kisses even after 15 years with my hubby. The kiss that romances you and reminds you of all of the good in him. It is sweet with a little toe curling involved. I love a passionate kiss by a strong alpha man!